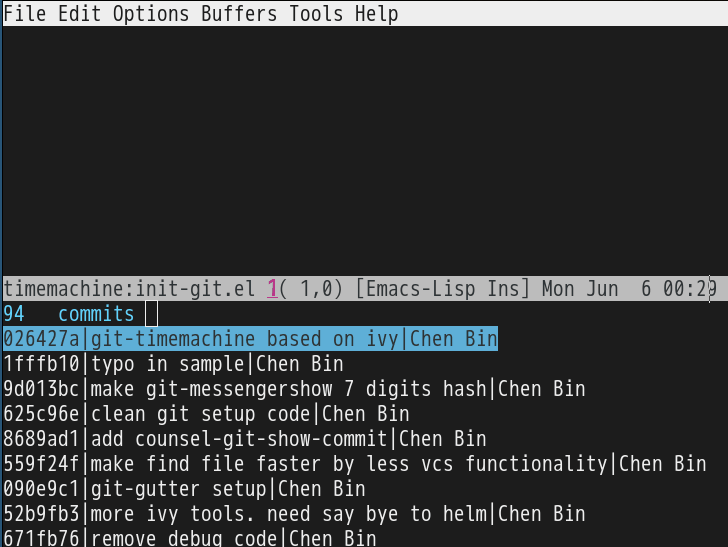 When using git-timemachine, I prefer start from my selected revision instead of HEAD. "Show last (current) revision of file." "Open git snapshot with the selected version. Based on ivy-mode."